Grading stamps is something both collectors and dealers have done for years. Stamp grades directly affect a stamp’s value, scarcity and desirability. Stamp grades range from “average” all the way to “gem”. Grades are based on three factors: centering, condition, and eye appeal. 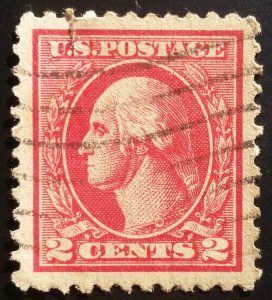 Centering means determining how well a stamp’s design is centered within its perforations. 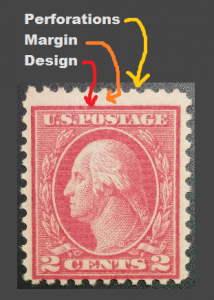 A well centered stamp has equal sized margins, while a poorly centered stamp has margins of unequal size. Well centered stamps command a higher grade (and price) than poorly centered stamps. If a stamp is in perfect condition, grades are directly proportional to the stamp’s centering. So let’s say you have two stamps, both in perfect condition. The first stamp is well centered, and thus has a high grade, while the second stamp is poorly centered and thus has a low grade. The first stamp could be worth approximately 10-100 times as much as the second stamp because the demand for well centered stamps is so high. Average – The perforations cut deep into the design. Good – The perforations cut into the design, but not very deeply. Very Good – The perforations cut into the design, but just slightly. Fine – The stamp’s design is visibly clear of the perforations, although the perforations almost cut into the design. Fine-VF – The design is easily clear of the perforations, but is still far off center. Very Fine – The design is off center, but just slightly less so than fine-very fine. Very Fine-XF – The design is pretty well-centered, but definitely not “boxed”. Extremely Fine – The design is well-centered, and has excellent eye appeal. Better centered than most stamps. XF-Superb – The stamp’s centering is near perfect, but is visibly slightly off-center. Superb -The stamp’s design appears perfectly centered, but under close examination, it won’t be 100% perfectly centered. Gem – The stamp’s design is perfectly “boxed” within the margins. This is the highest grade achievable, and is quite rare. No matter how long you study the stamp, no margin will appear larger (or smaller) than the margin opposite to it. 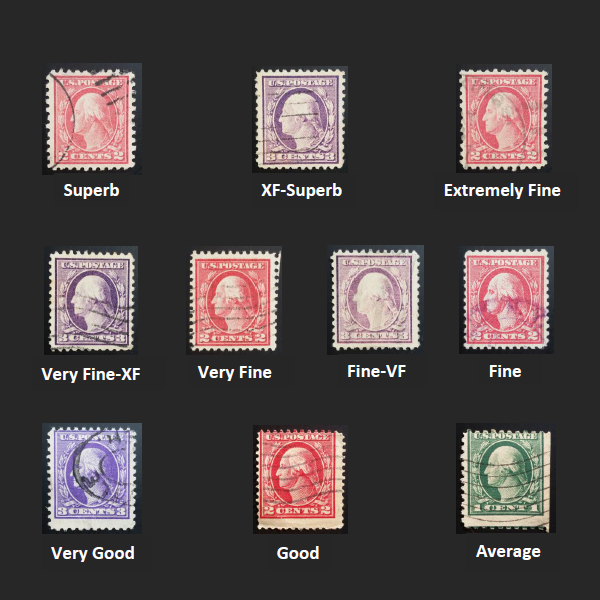 Some stamps are so poorly centered (worse than grade Average) that they actually increase in value. This is because portions of two stamps will appear on the same piece of stamp paper. These stamps are called “freaks”. Freaks are fairly uncommon, which is why they are valued by many collectors. Jumbo stamps have larger than normal margins and great eye appeal. The size of a stamp also plays a role in determining its final grade. Stamps that have margins which are smaller than normal will receive a lower grade than they would if their margins were average sized. And, stamps with larger than normal margins enjoy an increased grade. Stamps with unusually large margins receive “Jumbo” status. A jumbo stamp – especially a well centered jumbo stamp – commands a higher price than the same stamp with normal sized margins. This is because jumbo stamps have very good eye appeal due to all the white space around the stamp’s design formed by the giant margins. Jumbo stamps seem to really “pop” out and are immediately noticeable. 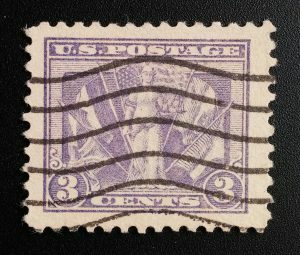 Centering does not have the final say when it comes to a stamp’s grade. Soundness (condition) and eye appeal both contribute to a stamp’s grade as well. Despite having excellent centering, this stamp would receive a very low grade due to the tear in the upper left, and the crease in the upper right corner. Soundness refers to the absence or presence of faults on a stamp. A sound stamp has absolutely no faults, and its grade will be determined by its centering and eye appeal. 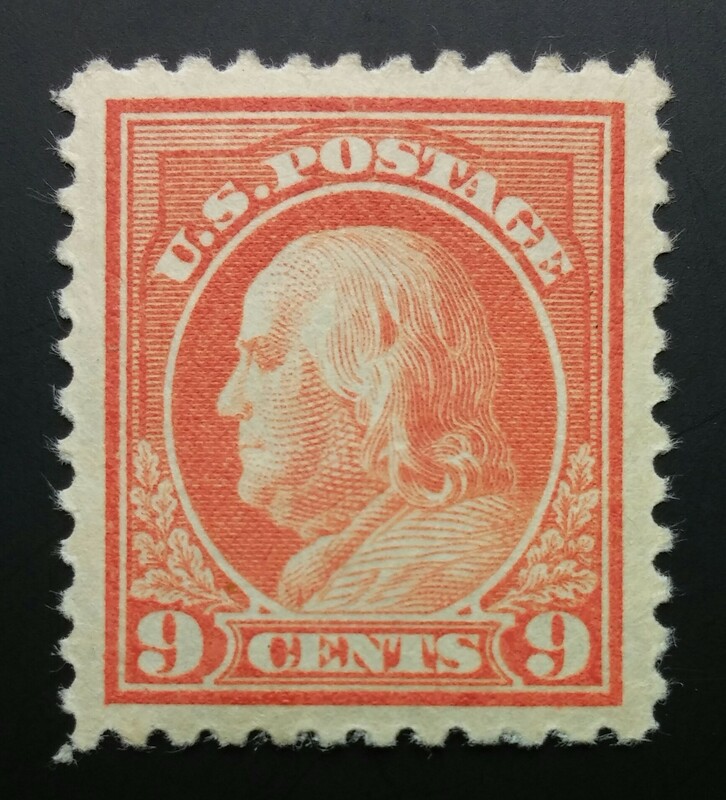 A faulty stamp will receive a low grade, even if it has excellent centering. A wide range of faults exist. Faults can be tears, creases, pinholes, surface scrapes, pulled perfs, missing perfs, scuffed perfs, clipped perfs, toning, mildew, parts of the stamp missing, inclusions, gum skips, fingerprints on gum, sweated gum, obliterating cancels, straight edges, etc. There are many faults a stamp can have and if it has even one fault, it is instantly worth a fraction of what it would be worth if it were faultless. This is because most collectors don’t settle for low quality stamps when there are higher quality stamps easily available. Faults will also drastically lower a stamp’s overall grade. A serious fault will even render a stamp ungradable. The final factor in determining a stamp’s grade is eye appeal. Eye appeal refers to how aesthetically pleasing a stamp looks. Stamps with excellent eye appeal receive slightly higher grades and increased value. Unusually vibrant color, detail, and freshness all contribute to a stamp’s eye appeal, as well as jumbo margins and extremely attractive (and preferably light) cancels. Eye appeal can also negatively affect a stamp’s grade. Irregular perforations and heavy cancellations are just plain ugly, and will actually decrease a stamp’s final grade. Stamp Grading is a Very Subjective Process. Many people will have differing opinions on a stamp’s centering, the degree of a fault, or a stamp’s eye appeal. Even the top experts don’t agree every time. Some stamps are on the very border between two grades. For these, it’s just a matter of opinion what grade the stamp receives in the end. What some people will call “extremely fine” centering, others may only call “very fine”. The difference between these two grades is small, and can be hard to see. But in the marketplace, the difference between these grades can mean the difference of thousands of dollars. Well, that about sums up my introduction to grading stamps. If you’d like to learn HOW to go about grading stamps yourself, check out this article I wrote. As you can see, the process of grading is very important in determining the value of a stamp, and is a process every stamp collector should familiarize themselves with. If you have any questions, feel free to ask. I’d love to hear from you! Wow, I never knew there was anything like this, grading stamps. I know for coins there is a system but I never thought about stamps. This is very interesting. There seems to be so much detail in a stamp that I never really noticed until I have read this. Stamp collecting would be something I would like to do, but have no idea where to start! Stamp grading has actually been around for a very long time, although professional grading services only began in late 2001. 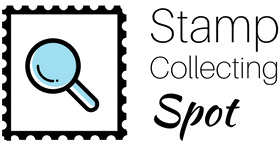 I have always know that stamp collecting was a popular hobby or past time, but I never really thought of it as being a profitable one! Plus I never really knew what it was that made any one stamp more profitable than another one. Yep, stamps sure can be worth something. And oftentimes a stamp’s value doesn’t even depend on its grade, as there are thousands of stamps worth thousands of dollars even in a low grade. As to collecting stamps for profit, I would say the best way to get to that point would be to form a large collection yourself, and as you familiarize yourself with the hobby and all the factors that make stamps valuable, you will inevitably gain the knowledge necessary for profiting from stamp collecting. I used to collect stamps when I was a kid, but never knew all the fine details. My interest in stamps has been rekindled, and I’m so glad I found your website online. Am going to bookmark to use for future reference!